The UK has 36 entries shortlisted across this year's Press Lions category at Cannes. Adam & Eve/DDB and Ogilvy & Mather London lead the way with 15 and 12 entries respectively. A&E/DDB was shortlisted nine times for its work for Harvey Nichols (six for Christmas and three for Spring/Summer Sale 14) and six times for its work for Mars, Temptations Cat Treats. The Omnicom shop was crowned as the Agency of the Year at last year’s festival, after a highly successful "sorry, I spent it on myself" campaign for Harvey Nichols at Christmas. All of Ogilvy & Mather London’s entries were for its work for the charity 28 Too Many. Last month it released the print and outdoor campaign "it happens here", which told people that female genital mutilation is an issue that affects people in the UK and across Europe. DLKW Lowe was shortlisted six times for its work for The Winston Fletcher Fiction Prize, which featured books from famous authors who used to work in advertising, such as F Scott Fitzgerald and Salman Rushdie. Leo Burnett London was the other UK-based agency to be shortlisted in this award category, with two entries for its work for Karma Nirvana, a charity that supports victims of honour crimes and forced marriages. 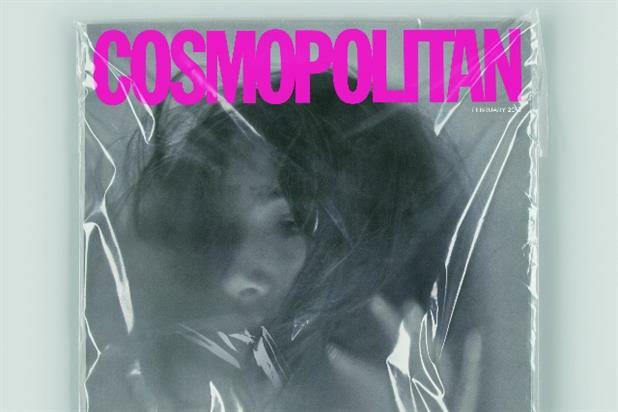 The campaign included a shocking cover picture on the front of a promotional February editiion of Cosmopolitan magazine, which appeared to show a woman being suffocated. Brazil and the US were the countries with by far the most shortlisted entries, with 71 and 70 entries respectively. France had 52 entries, followed by the UK on 36. Winners will be announced later today (22 June).